On 14th December 1918 women voted for the first time in Britain, and in the same year the first female MP was elected. To mark 100 years since some women achieved the right to vote, the 209 Women project aims to take over parliament with 209 new photographic portraits of all female MPs, shot exclusively by female photographers, and make it free and open to the public. The aim is that the exhibition will hang in Westminster from 14th December to February 2019 (tbc). It will be curated by Hilary Wood, (founder of ‘209 Women’ and photographer), Tracy Marshall (Director of Development and Partnerships at Open Eye Gallery, Co- Director of Northern Narratives arts initiative) and Cheryl Newman (Artist, curator and former Director of Photography of the Telegraph magazine). The exhibition is supported by Liverpool City Council. In February 2019, it will travel to Open Eye Gallery, to be exhibited in partnership with Culture Liverpool. 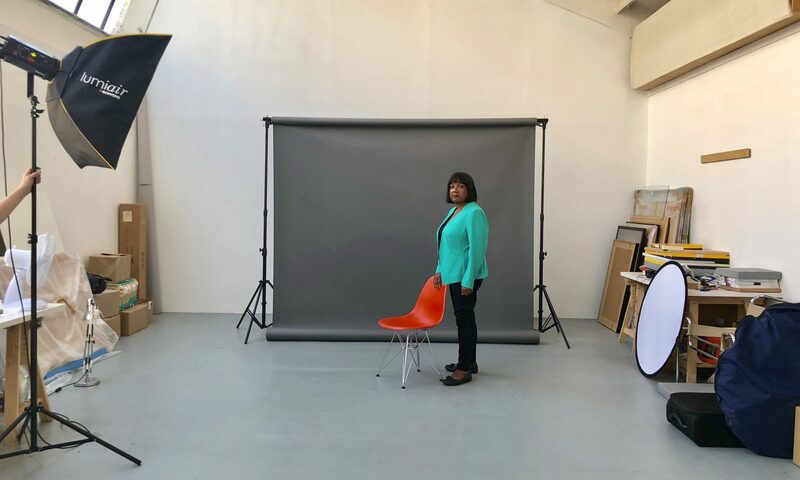 Behind the scenes: Diane Abbott (Labour), photographed by Karen Knorr. ©Karen Knorr.